22. 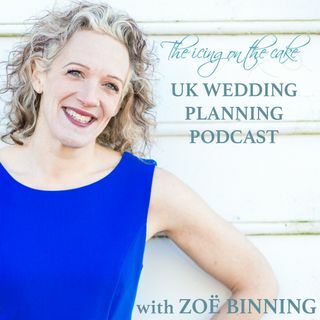 Zoë takes centre-stage - quite literally - as we hear her top 10 tips for planning your wedding, a talk she delivered to a wedding fayre in Cardiff last autumn. Plus listener Emma asks whether a comedian would be appropriate entertainment at her wedding. This is the final episode of Series 2 - Zoë will be back later in the year. Big thanks to Andi Roselund (Sangwha Comm), Adriann and Ivolipa for the sound effects used in this episode.